Though my first prepaid was O2, but from the student survey – my friends generally – I found giffgaff suits me better than O2. First of all, being a student does require me to save a lot and having Pay-As-You-Go package from giffgaff really intrigued me to try and use it. I took the £12 package. With the unlimited internet and my always opening emails and bit of my social media antics really pulled me in to this package plus, I get free calls and SMS to other giffgaff numbers (^_^)V.
You should really know what type of user you are before jumping into this bandwagon. As for me, I usually use Whatsapp and other them social medias so the £12 goodybag is most decent package for me. To me, the network is incredibly cheap paying just 10p/min for UK calls and only 6p/text. How cheap can you go? And the network reception’s good too. But you might ask me; Won’t it be a hassle to keep changing phone numbers when you already shouted to the world of your new number, plus you already put your O2 number in your bank application? Don’t worry, changing networks – atleast from O2 to giffgaff for me- wasn’t a hassle at all. I still keep my old number but using giffgaff mobile network. Have You Giffgaffed? Service providers numbers to get them PAC codes. 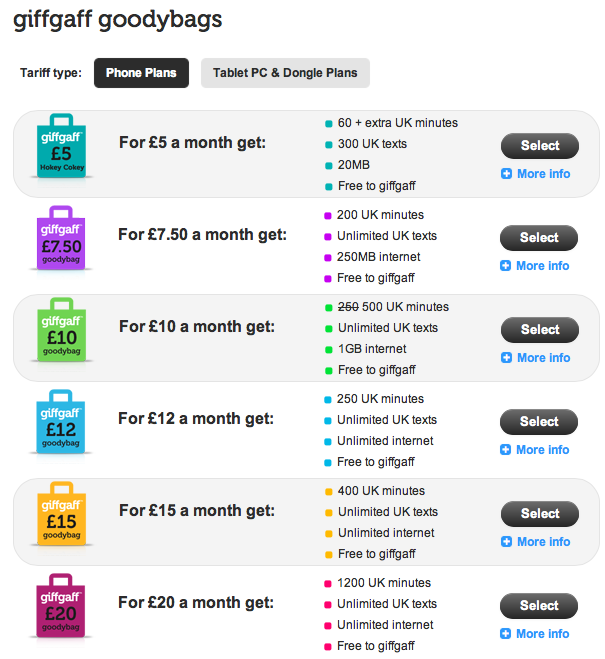 Nifty little thing I found on the giffgaff website. 1) Call your respective service provider and ask them for your Porting Authorisation Code (PAC) code. PAC code only valid for 30 days. So I suggest you do this when you already have your giffgaff simcard in hand. 2) Activate your giffgaff simcard, follow the instructions on the website. 3) Fill in the ‘Transfer Your Number’ form on the giffgaff website. You’ll be prompt with a message saying that your transfer application has been received by giffgaff. 4) The transferring process will take upto 24hours. Just keep using your old simcard until you get a ‘no service’ notice on top of your phone. 5) Turn off your phone, switch to your giffgaff simcard. And let the magic happen by itself. Your old number will reappear, replacing your temporary giffgaff number. Do check your ‘my giffgaff’ page every now and then to see the progress of your number transfer. 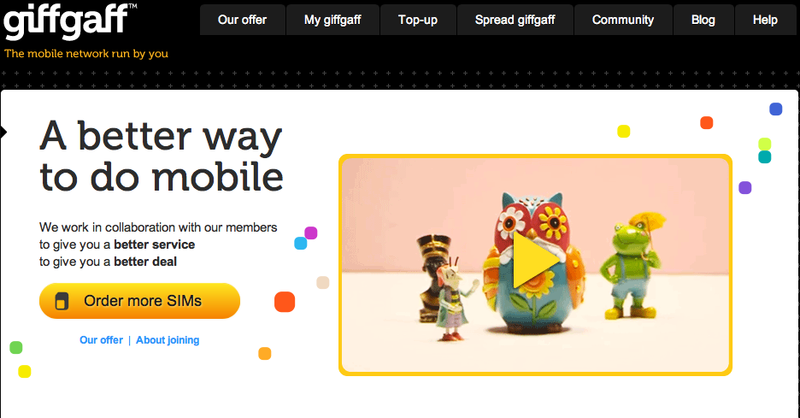 **Further information on how to retain your number old number to giffgaff, click here. After you got all excited that you manage stick to your lucky numbers, you might notice – if you’re using iphone – that your imessage texts is being sent to your temporary giffgaff number, not your lucky numbers. 1) Got to Settings > Phone > My number. Notice it shows your temporary giffgaff number instead of your real number? Click on the number and change it to your ‘new’ old number. 2) Go to Settings > Message > iMessage. Turn off your iMessage. 3) Go to Settings > Facetime . Turn off you Facetime. 4) Switch off your phone and restart it. Turn on BOTH your imessage and facetime feature. Let the activation finish. 5) Viola! iMessage problem, solved. I used to use O2 Pay-As-You-Go (PAYG) mobile network when I first arrived in London but overtime the network’s credit seemed obsolete to me as I don’t use it often and it just went to waste as I have to top-up each month to use the data. One thing though you have to know, once you decided to change your service provider, your old credit will not be retain into your new service provider package. I.e if you have £20 balance credit, you will lose this credit when you switched service providers. That’s all from me. So, have you giffgaffed? Hehe. The flight took another seven hours before it reaches London Heathrow Airport. This time around though, it was a different flight. EY11. The seat was less spacious than the previous EY411 from Kuala Lumpur, but the food was still excellent, even for the entertainment section. Frankly speaking, I slept through a large portion of the flight time and only woke up a couple of hours before landing. Flight EY11 landed on time at 7.20 o’clock in the morning in London. The weather was amazing; the sun was shining, the air was crisp and the breeze was a perfect blow to the skin. Got my first prepaid card for my phone from a vending machine and met with a few of fellow Malaysians. Jimmy, whom I knew from a friend on Facebook was kind enough to accompany me to my accommodation at Alliance House. Coming back for his second year at University Of Bristol, Jimmy was quite a chap in dealing with the people from a country that is so foreign to any of us. Being in a foreign country really does require you to be extra, friendly. In a good way of course, duhh! On the way to Alliance House at Newington Green, we basically talked about everything under the sun; from politics to economy to even living in London and how he and his friends played a practical joke on a fellow housemate by sliding a frozen frisbee piss under her bed. Well, that I take it as a little extreme for me as well. But hey, your only in college for a little while might as well enjoy while at it. It was about 40 minutes before we reached my place and I was tired like I worked all day long. But it was only 10 o’clock in the morning! The accommodation is flat based as I share the level, or flat with seven other flatmates all of which are international students from Lebanon, China, Greece and Mexico. On the flat itself we share our common area and kitchen. My room is decent with attached bathroom and built-in study desk with wardrobe. It is still pretty much disorganized currently, it’ll fill up down along the term definitely. It also has a green view outside the courtyard. I’m not hating it though. You can even see squirrels and a cat running about the yard almost everyday. I just love that part. A bit of nature in a bustling city of London sometimes get you to appreciate the little things that’s happening around you. Well, living in London people love to talk about the weather so here it goes, the weather has been kind to me so far. Because I arrived in mid-September, it was still summer then (currently it’s autumn as of this post was written). Oh yes, the long-johns I bought in Malaysia really helped me adjusting to the weather here. Ahlan Wa sahlan is derived from an arabic language, which translate loosely to the meaning of ‘welcome’ in english. For me actually, it was my first time getting on the flight. I’ve never taken Etihad flight before. The flight attendants were very nice to say the least, and the food too. I didn’t manage to capture the in-flight meals like most travelers do. I was busy eating the lovely food they served us. Especially the nasi goreng or fried rice. I must say, though it is a hawker food back in Malaysia, they sure tasted superb on an airplane. Seriously. The in-flight entertainment wasn’t bad either. Up-to-date good selection of movies and the flight even cater to video games for kids. The flight took about six hours and it was already half passed one o’clock in the morning when flight EY411 touched down at Abu Dhabi International Airport. By the time we reached the terminal transfer hall, I was already half asleep and in need a pick-me-up. Luckily on the way to the next terminal, I bumped into a fellow Malaysian. Going to Belfast, Ireland for her undergraduate degree, Asmah looked more nervous than I was. One time when we were going through customs check at the airport, Asmah was detained because the customs needed to do a thorough check on her. They lady officer took her in a room and I had to wait almost half an hour for her be released because she set the alarm off when she run through the gate. All is well, we manage to grab coffee and stretch our legs for a couple of hours before our next final departure to London Heathrow Airport, at 2.30am. The Departure – The people that saw me fly. Well, the cousins and the boyfriend that is. It was about seven o’clock on a Sunday morning. it wasn’t the birds chirping outside the house that woke me up. I was awaken I think by my own nervousness. Yerp. It was D-day for me. I was scheduled to sail to the land of the ‘Queen’s English’ to study in a field that I am so passionate, Journalism. Masters in F inancial Journalism to be exact. No one said it is going to be easy but I’m not giving my hopes up for anything. 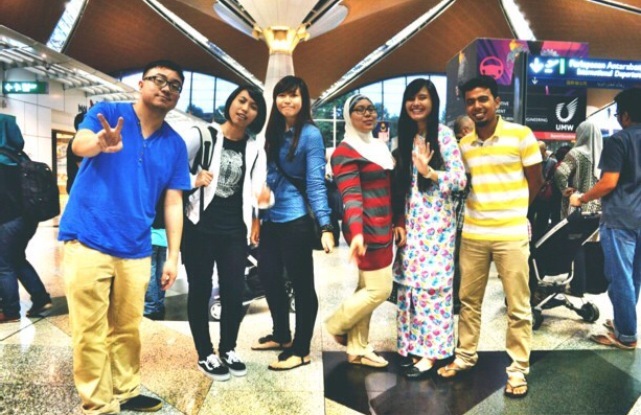 My boyfriend, Alif sent me off to Kuala Lumpur International Airport and he waited, with other members from my family until I was properly took off. It was fairly a bittersweet memory. Dad; the man with less words, just kept quiet. But my little sister, Ain said he actually felt sad that I was going away without him by my side. My cousins were also amongst those who sent me off. But for me, it was the feeling that I’ve never felt before. It’s like the first time you ever fell in love, or the first time you fell riding a bike. I don’t know what’s going to happen next and I don’t know what’s there in store for me in the city of London. But I do know that I am carrying the hopes and dreams of both my dad and I, along on this ride. It was 8.30 o’clock at night and flight EY411 to London Heathrow via Abu Dhabi took off from the Malaysian soil. Until we meet again, Malaysia. Mr Peirce, I didn't know you have a cheeky bone in you. Happy Valentine's Day y'all! HAHA! As it is, BE. YOURSELF. It doesn't matter of what people think of you but how your love ones are as they are the ones who'll support you through thick or thin. 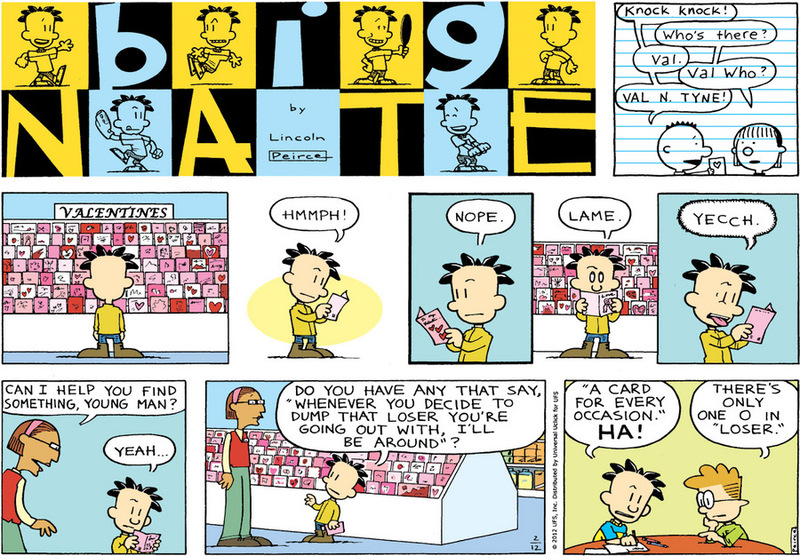 I always love Big Nate. 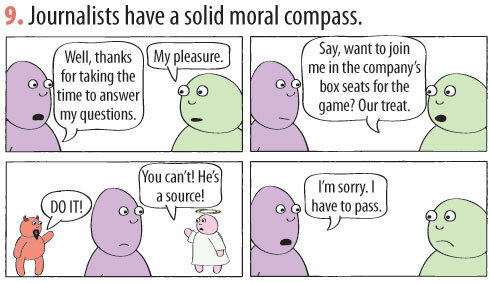 Thanks, Lincoln Peirce! This is not a job, this is not a marriage, and this isn’t even a vocation. To a newsie, journalism is something much bigger than all of that. I couldn't put it in a better way. Well said. Yes we do have perks in our job. But that doesn't mean we have the 'green light' to abuse it. Some journalists don't even like accepting free drinks from sources. True Patrick Garvin, true. My family still sometimes forget that I don't work in a normal 9-5 job. And on my off days usually I don't have time too as I'm busy with my work. Aaaah~ sacrifices we made in the name of society and passion for the field.